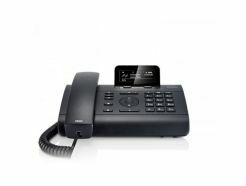 A basic IP phone offering with great value in its class from Gigaset.The Gigaset DE310 IP phone is for small and medium businesses demanding a basic phone system to manage their professional calls and phonebooks. 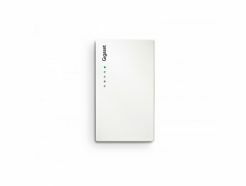 Flexible to use, hassle-free set up and exceptional wideband sound make the DE310 IP PRO from Siemens Gigaset perfectly suited for intuitive business communication. 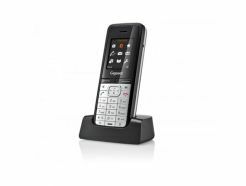 The Gigaset SL610H PRO enables users to benefit from exceptional sound quality, outstanding range, freedom of movement and multi-tasking convenience, all found in a sophisticated DECT handset designed for business use. The SL610H PRO enables connectivity via Bluetooth and mini-USB, which allows convenient data exchange between the handset and a PC. 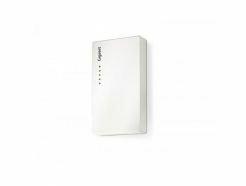 The Gigaset N720 DM PRO DECT manager is part pf the Gigaset Multicell System which consists of two elements: the N720 IP PRO, a base station and the N720 DM PRO, the DECT manager. 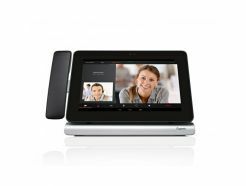 The Gigaset N720 IP PRO Base Station is part of the Gigaset Multicell System which consists of two elements: the N720 IP PRO, a base station and the N720 DM PRO, the DECT manager. The Gigaset Maxwell 10 Desktop IP Phone is packed with innovative features that empower you to take interactivity to the next level. It has a 10 inch touchscreen and uses Android 4.2, one of the latest versions of the worlds most popular mobile platform. This offers a flexible, fully customisable user experience which allows you to work faster and more intuitively than ever.